How to Keep Enjoying OnStar. Log-in to the OnStar portal with your credentials and go to "OnStar Packages"
Press the blue Service Button in your car to talk to an OnStar advisor. They will assist you in ordering the continuation of OnStar services. 1 If after your trial you do not purchase an OnStar subscription, you will not be able to use the OnStar services anymore nor to access the OnStar features in the myOpel app. Even without an active OnStar subscription, you will receive the Vehicle Diagnostics monthly e-mail for 4 more years though, if you have opted in. 2 The OnStar Services require activation and are subject to mobile network coverage and GPS availability. Charges apply after the free trial period. The OnStar subscription packages could be different from the services included in the free trial package. Some features may not be available for certain carlines or trim levels. Terms and conditions apply. 3 If your car is within the Opel Roadside Assistance coverage period and policy terms, OnStar can provide roadside assistance support for free. If your car is outside its Opel Roadside Assistance coverage period or policy terms, The AA may charge you for their services. 4 For data trial period of Wi-Fi Hotspot see “Get OnStar” Section. 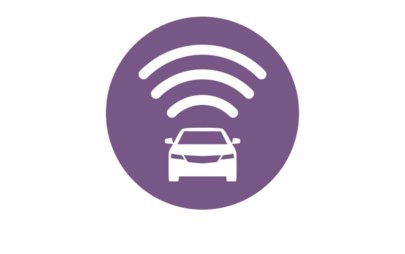 Do you want to keep benefiting from the fast and secure in-car Wi-Fi Hotspot connection? Did you enjoy not paying for roaming in many European destinations? Then set up an account with Vodafone! You will receive an email before your trial ends, explaining the process to purchase an in-car Wi-Fi plan. You don’t need to do anything before then. How to Set Up Your Account and Buy Data? If you want to continue benefiting from your Wi-Fi Hotspot, you have the opportunity to set up an account with Vodafone and purchase an “Internet in the Car” plan that suits your needs. Get in your car. Turn on the ignition. Make sure you are not driving. Finally, you will be taken to the “Internet in the Car” portal from Vodafone. Set up an account & purchase a plan on the Vodafone portal. After you have set up your account, you can administer and purchase your Wi-Fi plans quickly and comfortably through the Vodafone Internet In the Car portal. Vodafone’s “Daily plan”1: Best for a single journey. 24 hours or 1GB3 of high speed surfing and streaming for €5. Alternatively, 24 hours or 5GB3 data for €10. Vodafone’s “Monthly plan” (28 days)”1: Ideal for frequent use. 28 days or 5GB3 of data for €15. Alternatively, 28 days or 10GB3 of data for €19.99. Vodafone’s “Yearly plan” (365 days)”1: 365 days or 100GB3 of data for €125. 1 You can enjoy internet in the car on Vodafone's network when travelling in certain European destinations at no additional charge. Keep complete control: the Vodafone "Internet in the Car" Portal always keeps you informed of how much data you are using. 2 If you do not have an active OnStar account, you may not purchase Wi-Fi plans. 3 The data plan ends either when the indicated time period expires or you reach the data volume as indicated, whatever comes first.